Discover the principles and practices that make great teams great! 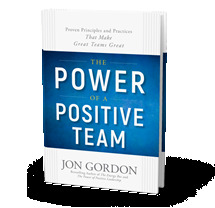 New Book from Jon Gordon Available Week of June 11. When I think of a team, I envision a group of people on a bus together moving toward their destination with a shared vision and greater purpose. If a team isn't on the bus together, then you know they aren't moving powerfully in the same direction. It's essential that a team pause along the way and makes sure that everyone is on the bus. When I say everyone, I'm referring to more people than just the people on your team. Everyone includes the people who directly influence the people on your team. For example, when Jack Del Rio and Mike Smith handed out Energy Bus books to their respective teams they also gave a copy to every person in the organization, including janitors, food service employees and office personnel. They wanted everyone who interacted with their players to be united and positive. The coaches of the Jacksonville University Women's lacrosse program, Mindy and Paul McCord, believe that they are not just recruiting players to their program, they are recruiting families. They understand that the parents of athletes can greatly influence the culture of their team through the beliefs and words they share with their children so they make it part of their culture and process to involve the family in the program. While many coaches consider today's parents to be an overly involved intrusive adversary, the McCords see them as team members they must engage and love to make the team stronger. The McCords engage the parents from the very beginning by hosting a full day orientation for the parents of freshman players. The orientation features presentations from current team parents, coaching staff, administration and a powerful talk by Gordon Harvey, a veteran police homicide detective, decorated FBI hostage negotiator who also happens to be the parent of a former player for the JU lacrosse program. Harvey shares the highs and lows of his daughter's college and athletic experience. From hating college, being homesick and not getting much playing time to becoming a great leader and player for the team her junior and senior years and her success post college. He shares tips on how parents can support their daughter, the team and the process while maintaining the proper perspective of what matters most. Harvey's involvement goes beyond a talk at orientation. He also serves as a parent liaison and is another way the McCord's involve parents in their program. As a parent liaison Harvey gives his phone number to all the parents and invites them to call him any time to talk about their issues and challenges with their daughter, the team, school etc. The McCord's also invite parents to call them directly with any concern as well. They can talk about anything but a lack of playing time. They make it clear during orientation that playing time is something between the player and the team and not the parent and coach. While a lack of playing time might be an issue for many parents and coaches on other teams, it doesn't become an issue for JU because they have done a lot of work upfront to communicate and involve the parents. My favorite way the McCord's involve the parents in their program is a brilliant idea called Coaches Corner where an hour before the game Paul McCord meets with the parents for fifteen minutes and shares with them the game plan and the scouting report on the opponent. 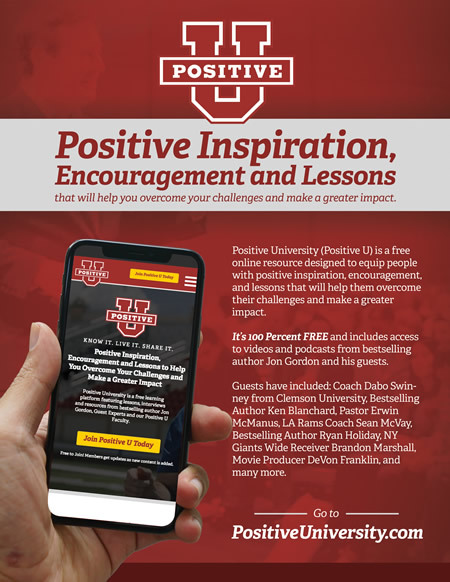 He gives the parents an inside look into what they should be watching for during the game and ways they can help energize the team by cheering from the stands. After the Coaches Corner is over the parents go to the tailgate for pre-game festivities and have something positive to talk about before the game. After the game is over the parents, coaches and players get together at the team tailgate for food and fellowship. Coaches tend to arrive first as the players are showering and getting dressed. Parents will often share with the coaches what they learned at the Coaches Corner and have some very intelligent insights on the game. This leads to positive, transparent conversations, parent buy-in and unity. In a world where parents want to be involved, the McCord's involve them. They realize their team is bigger than just them and their players. By wrapping their arms around the parents and including them in their program and making them feel like part of their team, they create a more positive, united and stronger team. Creating a bigger team also works in business as well. When John Rauvola, the CEO of Superfeet, hosts off-site retreats with his leadership team, he also invites their spouses and significant others. He wants everyone, his leaders and their spouses/partners to know about the organization's strategic initiatives, results, numbers, and projections. By understanding the challenges they are facing and their vision, purpose, and goals, the spouses/partners feel a part of the team. This makes them more supportive and helps them understand how much energy and effort their husbands and wives need to invest to make the company successful. One spouse even said to her husband, "You need to go into work on Saturday. We need to make sure we reach that goal." It's incredible what happens when everyone who influences the team gets on the bus together. And when you realize your team is bigger than you think and you take action to make your team bigger and engage everyone on the bus... you create a united, positive and powerful team. It takes a lot more work but it's well worth the effort. After all the future belongs to those teams who believe in it and work together to overcome all the challenges in order to create it. There is a power of a positive team and a positive team with everyone on the bus becomes an unstoppable force of positive momentum and impact! that will inspire you, help you overcome your challenges and make a greater impact.